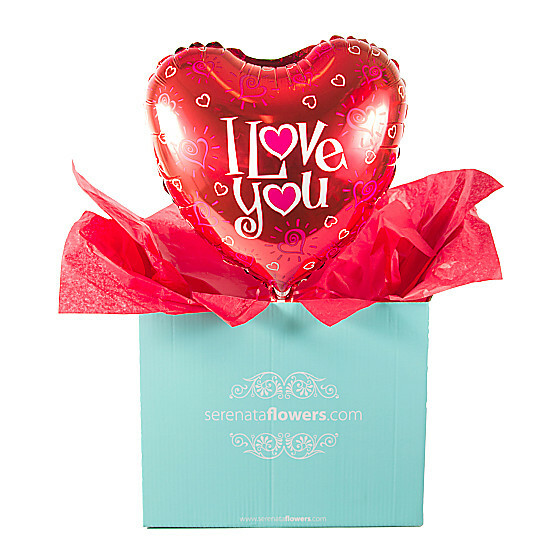 They say 'Love is in the air' and it most certainly will be with this gorgeous balloon. A fun way to show someone special just what they mean to you. 12 Chocolates Allergy Information (PDF) Balloons in a Box At 18" wide, our fun balloons are delivered inflated with helium and with a weight inside a special sealed box, ready to surprise the lucky recipient! Every balloon gift also carries your unique message. FREE Delivery We'll deliver this gift for FREE by Royal Mail - in our experience, 95% of postal deliveries will arrive on your chosen date, however on rare occasions some deliveries may arrive on the next working day.